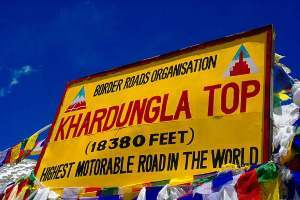 From Khardung La Pass you will descent and travel on a single lane but good road for nearly 3 hours to reach Diskit village. 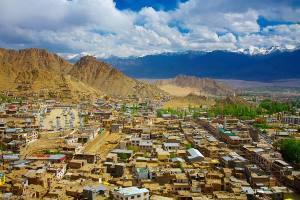 This is the main town of Nubra valley. During your journey from Khardung La to Nubra valley most of the time valley will be at your right side. Most of the areas are barren hills and lands without any greenery. Some places ice melting water is collected and it is taken by small canals to nearby villages. You can see patch of greenery by the side of this water streams. On the way to Nubra valley after travelling 18 KM from North Pullu you will reach Khardung village, here you can take lunch or snacks and take rest for some time. From Khadunga village further 23 KM you will reach Khalsar village. Before this village you will have first glimpse of the sand desert as road passes through the barren sand dunes. Here you can enjoy drive of ATV (All Terrain Vehicles ) and then move towards Dikshit. 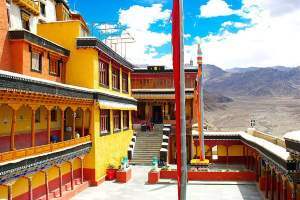 At Diskit ( height 10050 ft ) there are two main attractions, one is Diskit Monastery and other one is camel ride near Hunder. This area is known as cold desert and you can see sand dunes in this valley. These Bactrian camels are special type of camels with double hunch on their backs than what we see at Rajasthan or other deserts . This camel ride point is further 8 KM from Diskit town and you can either stay here or return to Diskit town after your camel ride. 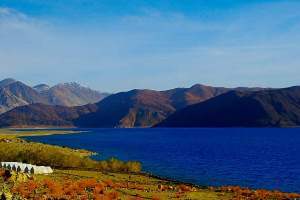 It is likely that you will reach Nubra valey in afternoon so one night stay is a must at Diskit or any nearby place. At Diskit market you can get few accommodation and some luxury accommodations are available in tents at Himalayan desert camp. From Diskit market place to camel ride point is at a distance of 10 KM. This is an old and famous monastery. The road to monastery starts from market place to a hill top. 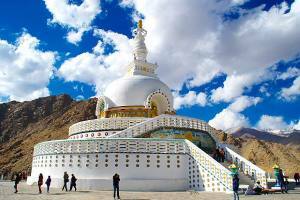 There is a big status of �Maitreya Buddha also known as Jampa. This is a scared place for Budhisit. 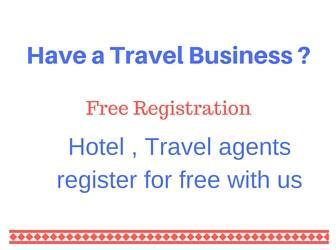 You can visit in morning hours and plan for your return trip. 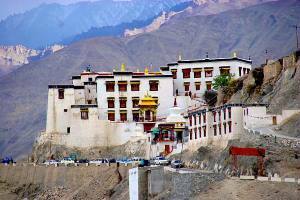 It will take minimum one hour to visit monastery. On the way near village Khalsar there is a track available to drive ATV (All Terrain Vehicles ) , you can enjoy the ride for 15 minutes of more here. Charges are Rs 1200/- for one hour.